The trustees are charged with taking care of our 96 year old church. The plaster has fallen off the ceiling in several places. 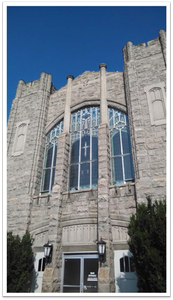 As a result, we have had several professionals in the care and restoration of historic structures visit with us. They have advised us on what needs to be done to preserve our church. Click here for the reports. 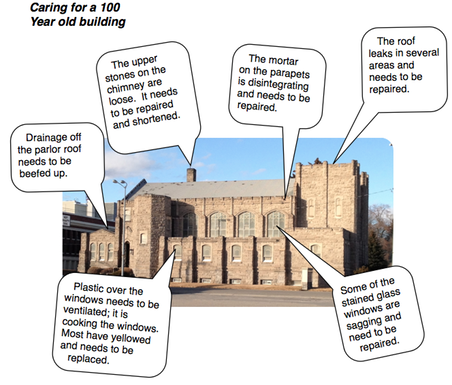 In a nutshell, the windows, stonework and roofs are all in need of serious restoration work. The cost will be hundreds of thousands of dollars. We do not have the capital to fund these projects. The money we receive in the offering just covers our monthly expenses. The Museum of Idaho has expressed interest in purchasing and restoring our beloved building. We need to explore this option along with discussing the future of Methodism in Idaho Falls with St. Paul’s. The Trustees and Church Council would like your input. Email your comments to webmaster@tumcif.org.